The purchase will create a further 90 jobs over the next 12 months in offshore and onshore locations, including Aberdeen and Dundee. When it launched in August 2017, Well-Safe pledged to create more than 400 jobs in three years and invest in excess of £200m on assets. Forty staff members have been recruited, since then. The company has also secured a 40,000 sq ft marine and logistics base in Dundee. The Ocean Guardian has drilled hundreds of wells since entering service in 1985. The contract for upgrading the vessel is currently out to tender and the unit should be ready for work by the end of the first quarter of 2020. Well-Safe wants to install a dive system and equipment for deploying a subsea intervention lubricator. The Ocean Guardian acquisition is just the start for Well-Safe, which intends to build up a fleet of vessels to carry out and support well P&A campaigns. Company bosses are currently in talks to buy a second semi-submersible, and ambitious plans are afoot to snap up a jack-up rig, a mono-hull vessel and land-based P&A units. Well-Safe executive director Mark Patterson, who is spearheading the deals, said: “This is a major milestone in our journey and one that is in-line with our strategy. Mr Patterson, former chief executive of Nautronix, said Well-Safe’s shareholders had funded the Ocean Guardian acquisition. North Sea industry chiefs believe Well-Safe Solutions can play a big role in their mission to lower decommissioning costs. The Oil and Gas Authority (OGA) predicted in June 2017 that almost £60 billion would have to be spent on dismantling North Sea infrastructure. The regulator set a target of reducing that figure by at least 35%, to less than £39bn. Taking the sting out of well plugging and abandonment (P&A) costs would go a long way to achieving that goal. 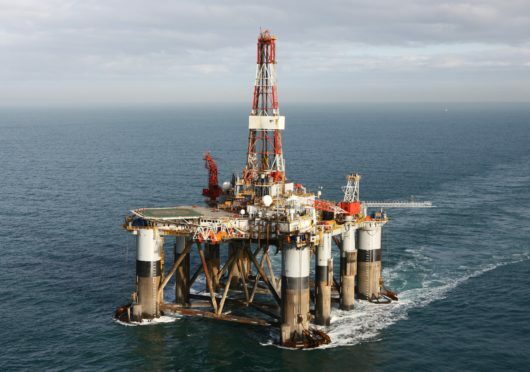 Research by Scottish Enterprise and Oil and Gas UK indicates that P&A is the most expensive aspect of decommissioning, making up just under half of the total bill. Reducing costs is in the interest of UK taxpayers. Oil companies can claim back some of the taxes paid on profits to help offset decommissioning costs, leaving the government to pick up about 45% of the bill. Well-Safe bosses reckon they can cut costs by lining up and decommissioning large numbers of wells for multiple clients, with specific types of rig assigned to individual campaigns. OGA chief executive Andy Samuel welcomed Well-Safe’s acquisition of the Ocean Guardian rig and praised its innovative business model. Well-Safe chief executive Phil Milton said: “We have stayed totally focused and committed to our original strategy and are delighted to have reached this agreement with Diamond Offshore for the acquisition of our first asset, which will allow us to deliver the complete P&A solution.